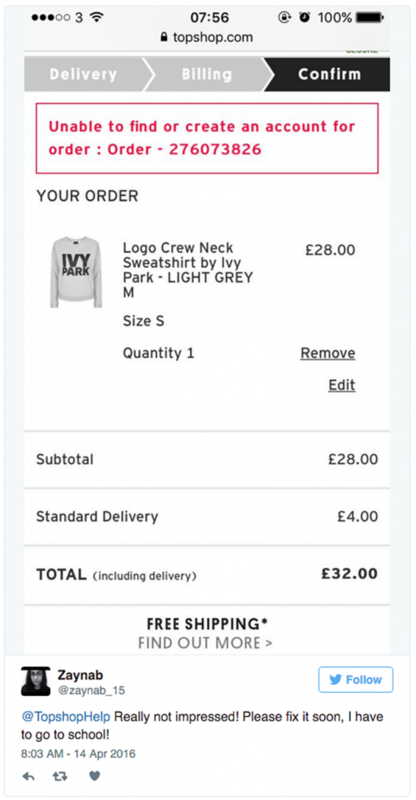 Beyonce’s athleisure brand IVY PARK was released yesterday (14th April) and demand was so high that their website temporarily broke, causing a flurry of complaints on social media. The limited collection, which is a joint-venture between the star and Arcadia boss Sir Philip Green, is also being sold by Nordstrom, Zalando, Net A Porter, JD Sports and in Selfridges stores and many of the key pieces have already sold out across all of the vendors. The 228 piece collection, featuring sportswear pieces such as leggings, crop tops and sweats increased demand on the website to the point where customers could add items to their cart, but not actually check out, not good, or is it?